looking for an extraordinary, professionally written resume for you? Resume is the very first instrument applied for getting the right opportunity in the job market. Analyzing the ratio of the number of candidates and the number of jobs available, it is very important to stand out among your competitors. We are experts of resume building and resume writing in Ludhiana We guide you throughout the process and help you understand your objective and requirements of the profile through a detailed telephonic or face-to-face session and develop a skill focused and extremely highlight visual resume for you. Our Business Communications program also teaches you to write a resume equal to one done by an expert professional writer. Here we train you on format choices, writing the objective, summary, KSA's and many other important sections that are a part of excellent resume writing. Our services are the most trusted for resume writing in Ludhiana. Every resume is a unique marketing proposition. It should be appropriate to your own situation and convey the exact message what you want to. Not only we provide you with a lot of tips but we get to the point with the most basic principles of writing a highly effective resume. Why should Shepherds help you to write your resume? As part of our career counseling program, we have trained and advised faculty various prestigious companies in New Delhi, Ludhiana, Chandigarh and various parts of Haryana and Himachal Pradesh. We are working with clients who want to choose or transform to a new career vertical , the one they love and work that makes full use of their talents, fits their personality, their values, and is also practical. Send us an email. We’ll get right back to you. Our services and Business Communications program is especially for people looking for a job in India. The rules of job hunting are very tough in India but personal marketing in your resume will definitely help whether your field is law, academia or a technical engineering, computer or scientific field. Your presentation or resume will fit a set of rules but you can still use the basic principles we present to make your resume or presentation more stand out from your competition’s. Most resumes in the pile have only gotten a quick glance.Recruiters hardly take 6 seconds to read one resume. But yours gets read, from beginning to end and gets put on top of the tiny pile of resumes that make the first cut. These are the actual people who will be asked in to interview in the organization wherever they have applied to. For this, we offer Visual Resume Services in India to highlight the best in your skills. Our innovative Visual CV enhances your text resume by adding key highlights of your experience as visually attractive and the recruiters will find it easy to know your pitch with a quick scan of the visuals. 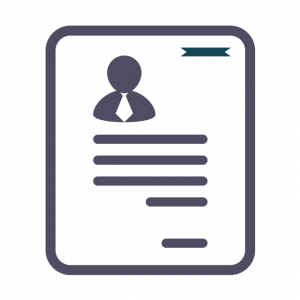 Our experts have a mindset of your potential employer and recruiter when designing , crafting , building or working on your resumes or cover letter. We will prepare a perfect resume for you to make the BEST possible first impression of yours to your potential employer and we can also help enthusiastic freshers or experienced professionals speed up their path to their perfect career vertical.